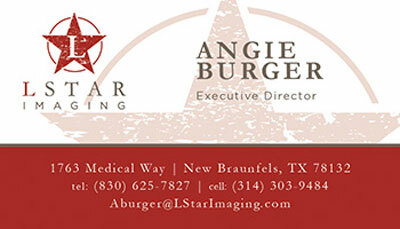 Developing a new brand from scratch is an opportunity we love, but don’t often get. 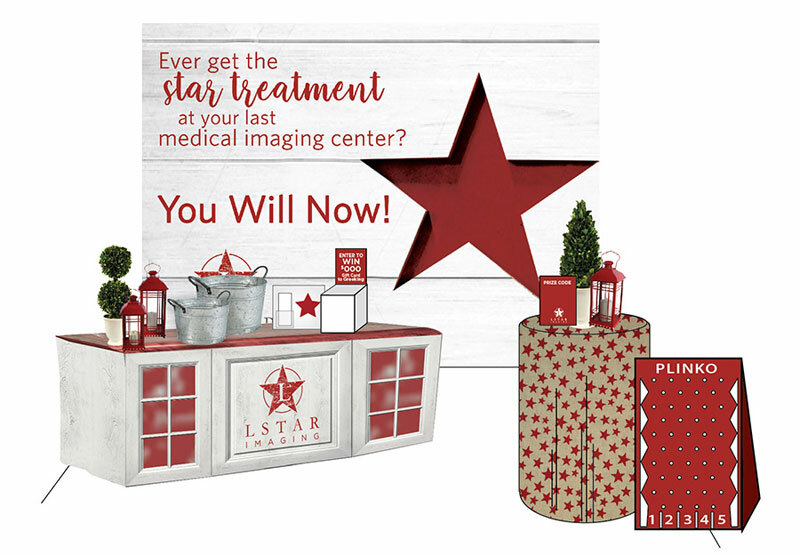 So needless to say, we where excited when we got the chance to partner with L-Star Imaging. 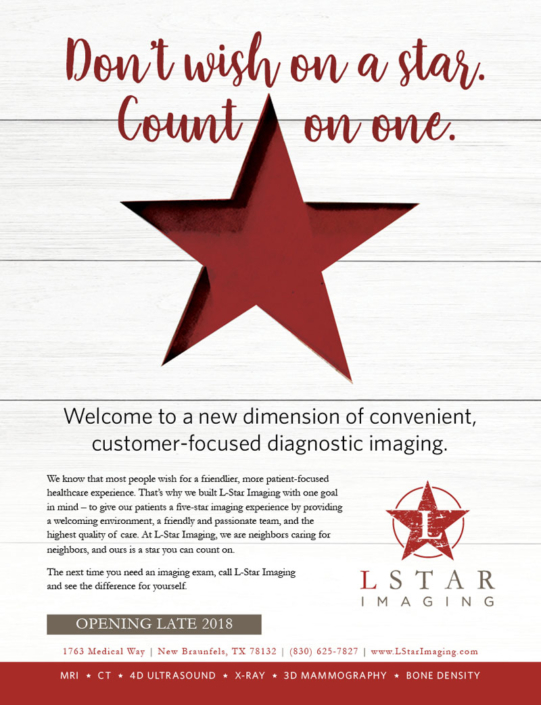 Our relationship with L-Star Imaging started at their conceptual phase as they laid out their plans to develop a free-standing out patient imaging center in New Braunfels, Texas. As one of the fastest growing areas in the country, the L-Star team saw a need and wanted to fill it. But even though the community was developing quickly, it had a very distinct personality. 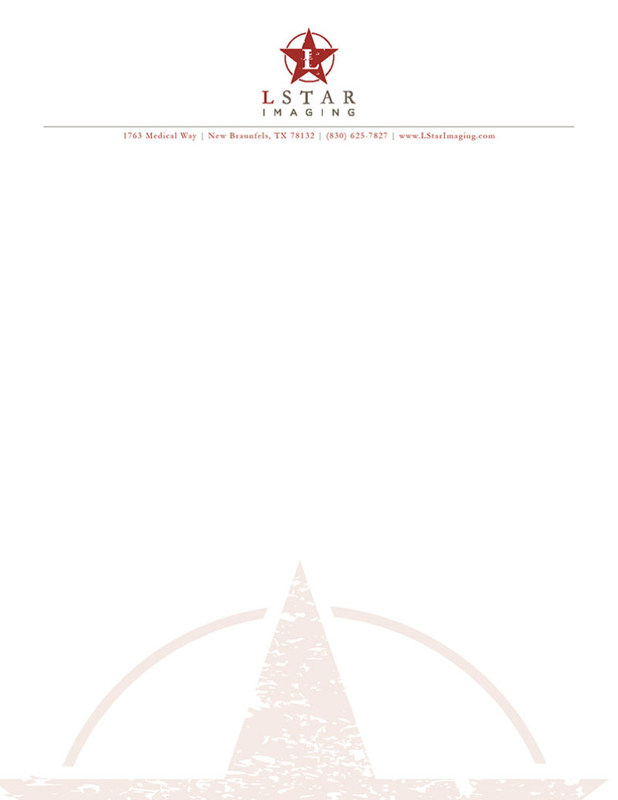 We wanted to make we captured the uniqueness of the area in the L-Star brand. 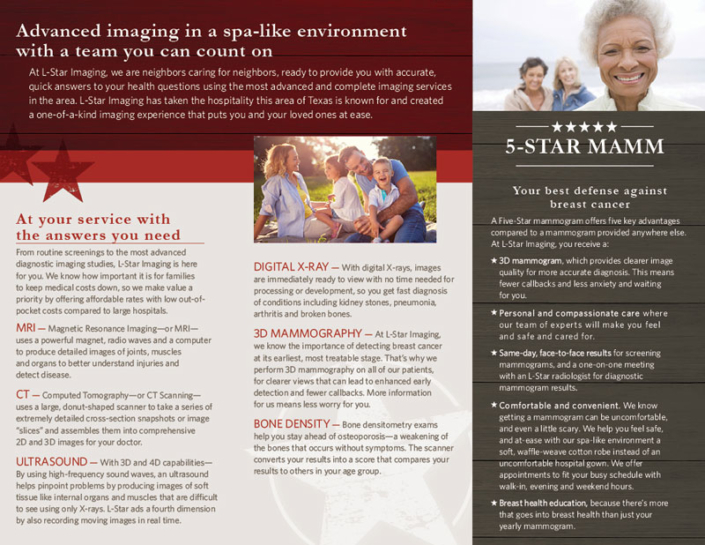 It needed to feel warm, welcoming, Texas – but not too Texas, and different from any other healthcare brand the community might encounter. 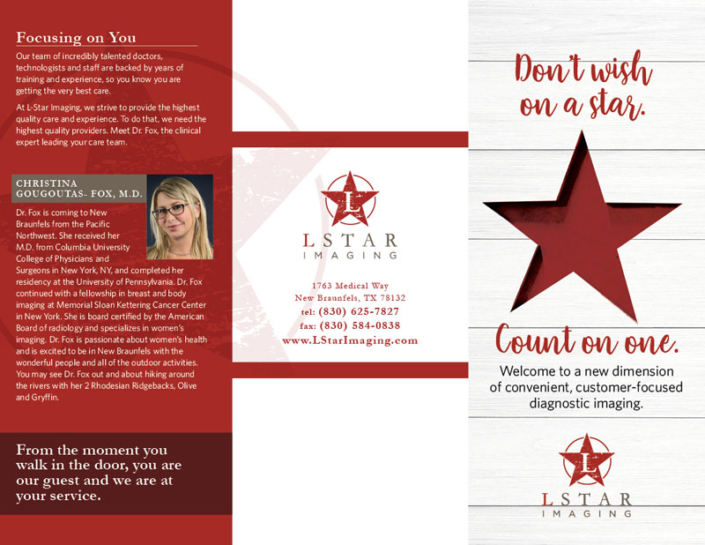 In typical Marketing Works fashion, we delivered something unexpected and have integrated this unexpected look into every aspect of their organization – marketing and patient materials, uniforms, website, and their facility. 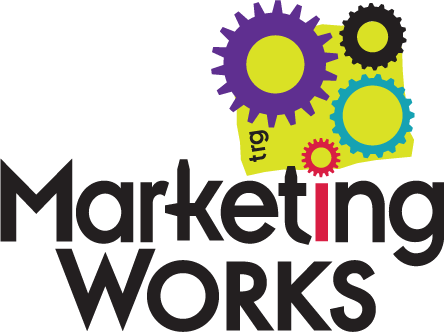 What we’ve ended up with is an unexpected, personalized and remarkable brand that has taken its community by storm.